Shark Cage Diving KZN is situated just south of Durban near Aliwal Shoal (only 60 minutes from King Shaka International Airport). We launch from the safest launch site on the Durban South Coast – Rocky Bay. 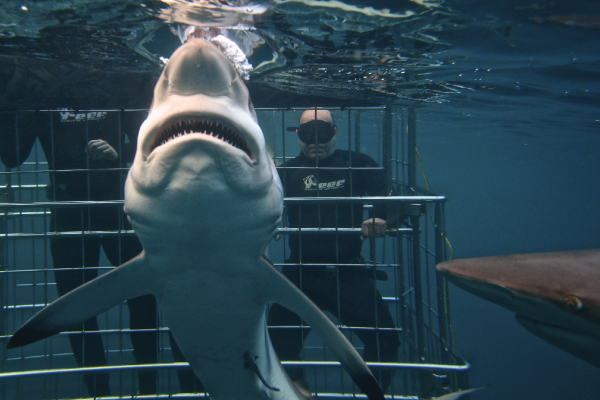 We are specialists in Shark Cage Diving, Shark Diving Trips and Shark viewing at Durban’s Aliwal Shoal in South Africa. However in the warmer waters of Durban’s Aliwal Shoal, different species of shark can be found on our cage dive like Blacktip sharks, Dusky Sharks, Spinner Sharks, Tiger and Zambezi Sharks. Because these species are smaller than the Great White Shark and their main diet consists of small schooling fish.